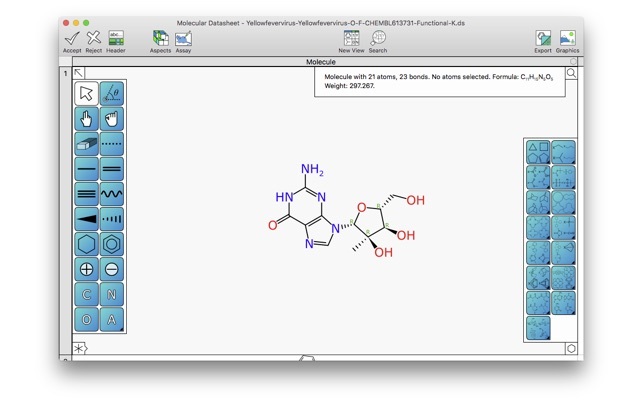 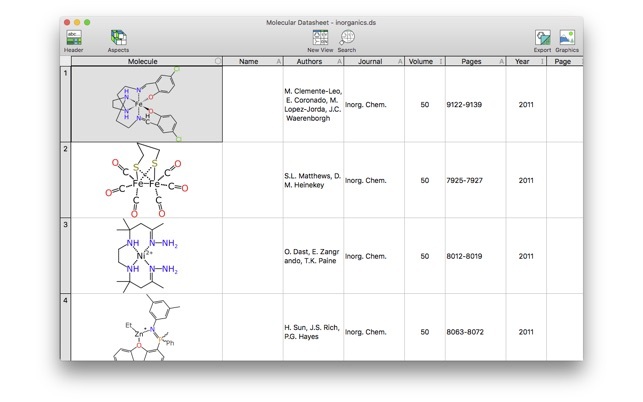 The Molecular Notebook is an interactive cheminformatics tool for viewing and editing molecular structures, chemical reactions and data. 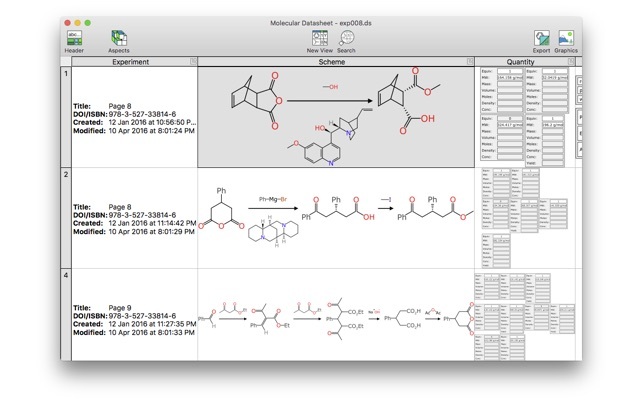 It is designed to be instantly intuitive to anyone who has used a Mac, a spreadsheet and any chemical structure sketcher. 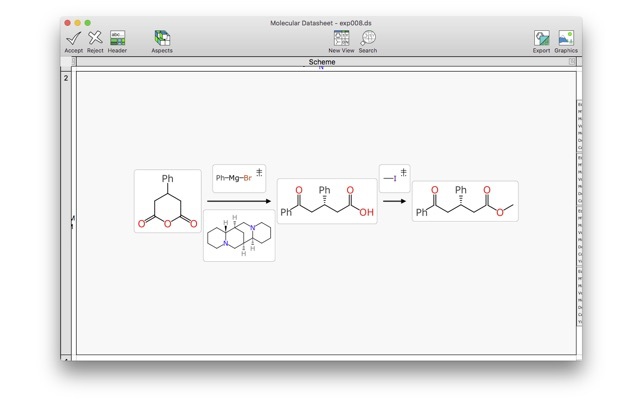 Updated for macOS 10.14, with Dark Mode support. 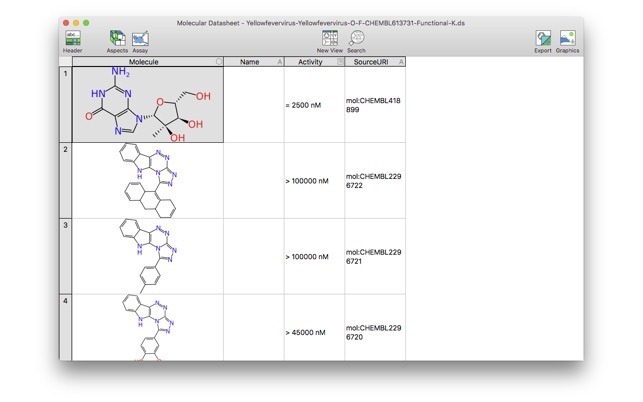 © Copyright 2015-2018 Molecular Materials Informatics, Inc. All rights reserved.